The Rendu House Drug Health Day Program provides a non-residential alcohol and other drug (AOD) rehabilitation program for people seeking treatment for alcohol and other drug dependence or misuse. Rendu House is committed to providing high quality, innovative and flexible treatment responses underpinned by evidence based practice, holistic client centred case management, trauma informed care and inclusiveness. Services Include a 12 week non-residential day program and Co-occurring Drug and Alcohol and Mental Health support. Outreach programs are also available to those who need assistance to access drug and alcohol treatment services. The Rendu Day Program has 3 stages: Entry, Core Program and Transition stages. This service can be accessed by people who are over 18 years old and experiencing problematic drug and alcohol use or dependency. The service is located in Campbelltown, close to Campbelltown Station, however our outreach services are provided at various locations across South Western Sydney and can be arranged at a location closer to where a person lives or at another service. Who benefits from Rendu House services? 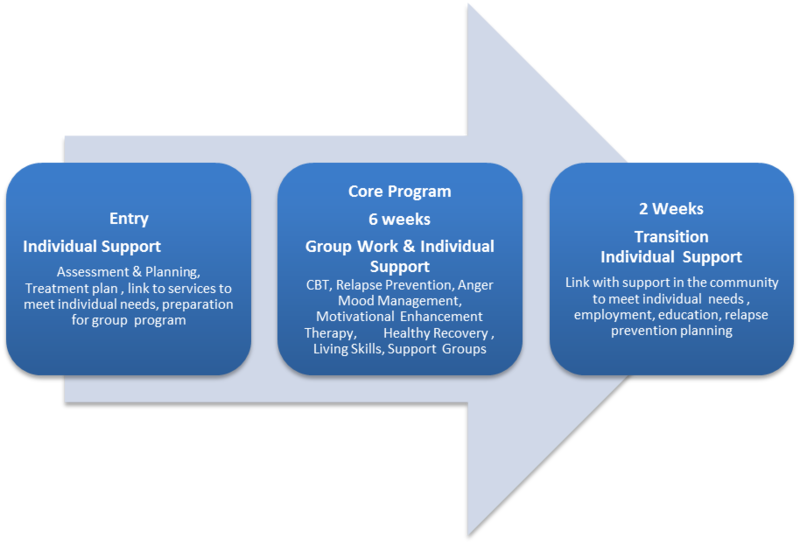 The clients in our programs have seen great benefits from our strengths-based approach to working with people. We have seen reductions in the number of people dependent on drugs and alcohol, improvement in psychosocial outcomes and improved connections within the community and to services. What is Rendu House Outreach Service? The outreach service is for people 18 yeas and over who need assistance to access drug and alcohol treatment services, people who need support before entering or while waiting to get in to drug and alcohol treatment services and people who need support after completing residential or community based drug and alcohol treatment. Rendu House outreach service can be contacted on (02) 4621-5501.